How often do you get stuck without a lighter or pipe? What about forgetting your stash? No more! The DaVinci Vaporizer has a compartment for your medical cannabis, and no lighter is required to enjoy your medicine. The vaporizer is made from high quality, durable materials; 304 stainless steel, medical grade silicone, non-lead soldering and a body that sustains high temperatures. A digital temperature switch allows you to control the temperature quickly to guard against scorching. The vaporizer comes in gray, black or a new green model! The DaVinci has a long battery life, with 1.4 continuous hours of use off of one charge. It also comes with the charger and a convenient carrying case for the vaporizer and all of the accessories. The vaporizer comes with everything you need to ensure that you can maintain and use the device for a long time. A cleaning brush, wall charger, flexi straw, pack of 3 large and 6 small replacement screens, 2 oil cans, and instruction manuals are all included. The manufacturer of the DaVinci Vaporizer stands behind their product with a two year warranty. With all of these accessories and add-ons, the DaVinci Vaporizer is the ultimate gift for the smoker on the go! Some medical cannabis users want to smoke when they are away from home, and it can be difficult to be discreet. Others wish for a healthy alternative to pipe or bong smoking. This device allows you to do both in one easy-to-use package! 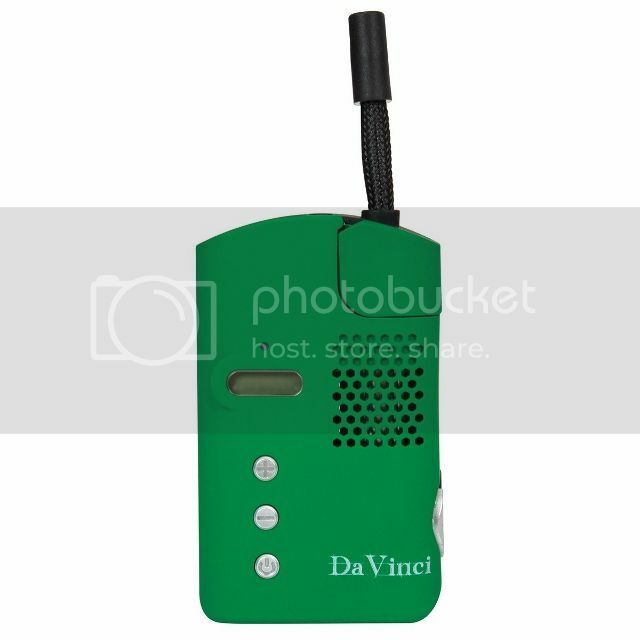 DaVinci Pocket Vaporizer 1.70 out of 5 based on 10 ratings. 1 user reviews. Love my Davinci Vaporizer, it heats up much quicker than my old one, literally about 30 seconds and it's ready to go!